Before The Revenant, cinematographer extraordinaire Emmanuel Lubezki shot Birdman with such technical wizardry he garnered significant critical acclaim. The floating, stalking style he employed throughout the film manifested itself in the paranoid exterior of Birdman’s central character Riggan Thomson (Michael Keaton). Alejandro González Iñárritu’s newest epic is a visual feast that again transcends simple splendour, similarly mirroring the harrowing and heartening journey of its protagonist, Hugh Glass (Leonardo DiCaprio). A brutal insurgence sets the unflinching tone while also highlighting the perversely wonderful landscape. Lubezki tags this opening sequence, which goes on for many minutes, with a nauseating sense of disorientation: arrows splice necks indiscriminately as bodies burn and blister. The conditions are pretty horrid and only get worse, and the audience is not let off lightly — Lubezki’s cinematography might occasionally disperse beauty but when the tough times assume focus, you’re right there with the unlucky Glass (at one point waves literally batter the camera lens). Describing Glass as unlucky is an understatement. Having led a band of fur trappers around the northern regions of America, a bear attack renders the hunter severely incapacitated. His camp, behind on their expedition following decimation at the hands of a group of Arikara Native Americans searching for their chief’s daughter, collectively decide to leave him in the hands of his half-native son Hawk (Forrest Goodluck), the inexperienced Jim Bridger (Will Poulter), and John Fitzgerald (Tom Hardy). Fitzgerald, consumed by antipathy and greed, subsequently leaves for Glass for dead. As such, ongoing themes of retribution (“Revenge is in the creator’s hands”) and guilt (“We all saw it,” says Fitzgerald, trying to redirect blame) loom large. The two coalesce to fund this overriding examination of karma’s role in nature — having invaded the Arikara natives’ land, western hunters find themselves either dead, nearly dead, or morally dying. Even Domhnall Gleeson’s character, the captain of the expedition and arguably one of the more righteous on-screen characters, is burdened by a sense injustice and guilt. The Arikara natives, meanwhile, represent karma in human form, defending their honour and fighting capital-driven colonialism: they are judge, jury and executioner. The aforementioned bear assault is impressive and harrowing, so much so that Glass’ survival actually beggars belief. You really need to buy into Iñárritu’s oft-included spiritual strand at this point and accept that there is some sort of superior healing going on (spirituality later manifests as a dove emerging from the chest of Glass’ deceased wife and as a perched black crow awaiting death). Given his abject surroundings, numerous gaping wounds and eventual solitude, it is miracle that Glass pulls through — to compound the matter, he wears a bearskin coat which reminds us of his survival instinct. DiCaprio is great, as has become the norm, but the version of Hugh Glass we meet in The Revenant isn’t all that interesting. That we feel anything more than natural sympathy for the fur trapper is a testament to the actor’s rugged portrayal and, crucially, his commitment. Not the method actory stuff like raw bison chewing or raw carcass sheltering, but the emotional commitment DiCaprio shows from start until finish, by which point he did manage to coax some eye-welling out of me. And that’s pretty good going given we only really see the broken, vengeful side of Glass: he carves Fitzgerald’s name into the landscape as a motivational tool to stay alive. Hardy itches and grunts his way through a performance that might strike some as scenery chewing (there’s a lot of scenery ripe for chewing), but that genuinely had me gripped. He is uncomfortably magnetic playing a truly evil man who does not appear to have any primal strength, only a lawless prerogative and a heartlessness bred out of self-centred durability. Menace blazes from his eyes: “You just have to blink [to die],” he informs a hurt Glass, fully aware the latter’s eyes cannot possibly hold out. Iñárritu shot in sequence and it shows: you can see weariness increasingly impede upon the actors to the point that they mightn’t even be acting. Will Poulter is also excellent as Fitzgerald’s innocent understudy, a spark of humanity among the viciousness. Snowy forest locales are reminiscent of Edward Zwick’s Defiance, and are just as haunting too. Skyward shots of trees are frequent, depicting a barrage of tentacles ready to strike and engulf those below. 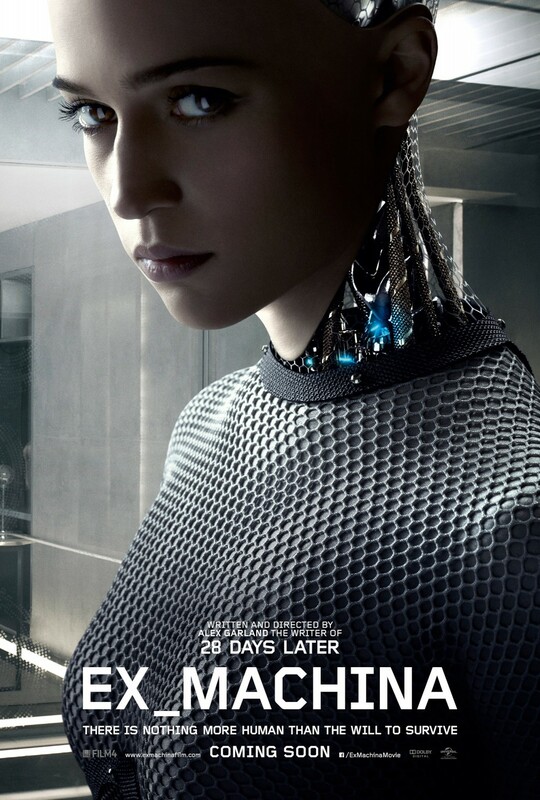 Despite the general vastness, the film has a claustrophobic feel denoting no reprieve and no escape. Lubezki shows white mountainscapes and ice-carpeted valleys akin to those in The Fellowship of the Ring, though the visuals extend beyond scope, incorporating harshness and wince-inducing iconography to great effect. The score, a joint effort from Ryuichi Sakamoto and Alva Noto, is invasive and chilling — this time it is The Return of the King that springs to mind (see Sméagol’s transformation into Gollum) as eerie whistles build disconcerting tension. In essence, what we’ve got is Max Mad: Fury Road without the exhilarating zing and character depth. 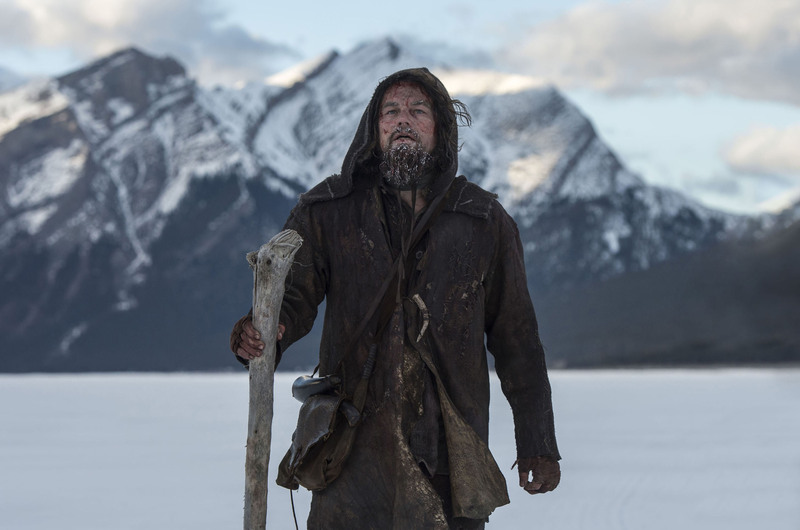 The Revenant is a challenging watch, but not necessarily challenging to process. 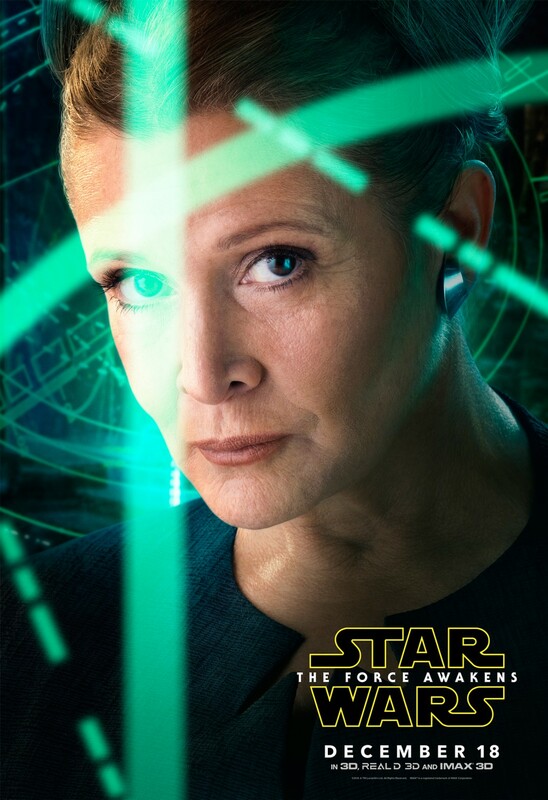 The themes are broad and like Alfonso Cuarón’s Gravity, there is an anomalous quality at play in that the film feels both narratively weightless and technically marvellous. You might consider this Iñárritu’s version of 21st century silent cinema; often suffocated by a lack of engaging verbiage, the movie’s main protagonist never feels fully formed. But for what The Revenant is and for what it is trying to do, this Wild Wild North tale has a tendency to stun. Nothing says Guaranteed Oscar Nominee like an A-list cast putting themselves through production hell (and the odd carcass) in the name of their craft. And if that isn’t enough, you might point towards a practically wordless trailer that promotes a truly stunning atmosphere. 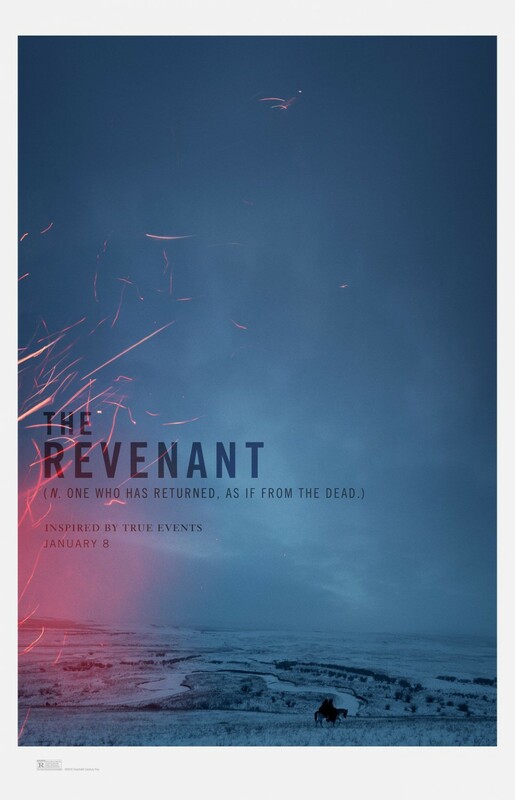 Now Alejandro Gonázlez Iñárritu’s The Revenant has a pair of striking posters to go with its already heavyweight level pre-release platform. Having previously issued a poster bereft of everything apart from a frozen landscape image and a captioned title, 20th Century Fox has now unveiled two new glossy sheets bearing the grizzled expressions of stars Leonardo DiCaprio and Tom Hardy. Though a great poster isn’t always a calling card for a great film, some effort on the artistic front can go quite a long way: it fuels excitement, funds intrigue, and at worst is nice to gawk at. Posters for Iñárritu’s films often hone in on the faces of individuals, indicting complexity and some sort of purpose. That makes sense given the writer-director has a history of working with layered characters who exist in aggravating circumstances — see Birdman’s Riggan Thomson or anybody in Babel — and by the looks of things that isn’t going to change when The Revenant gallops into town. 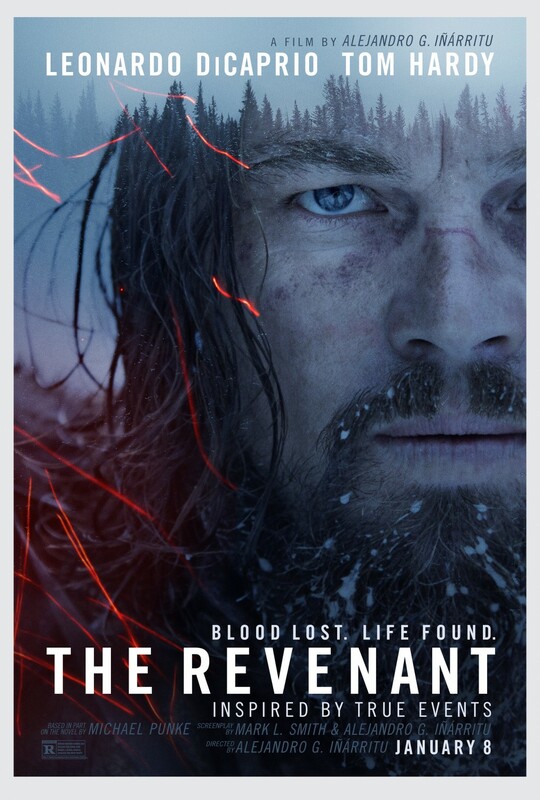 DiCaprio plays Hugh Glass, a 19th century fur trapper who seeks revenge having been left for dead by those in his company, one of whom is Hardy. The posters separate the acting duo and show them staring menacingly into the distance, their faces carpeted by hair and snow. 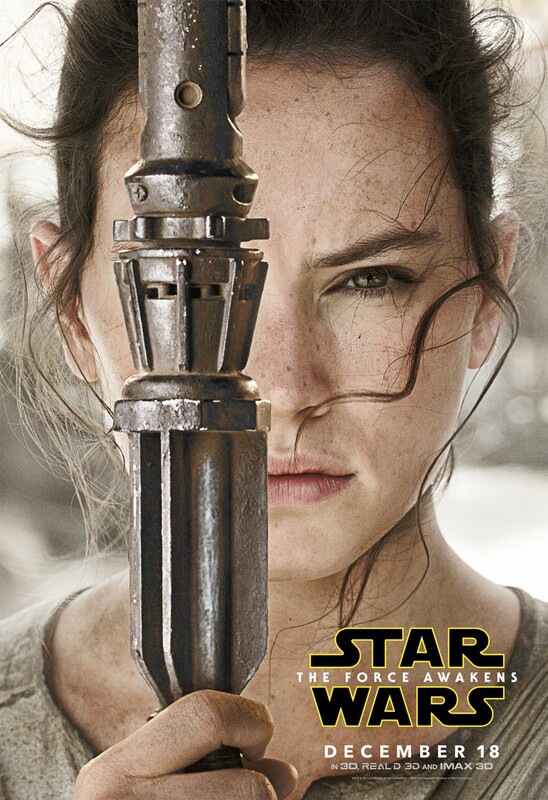 Perhaps they are staring at each other. Luminous orange sparks can be seen permeating the wintry environment, and you can be sure there’ll be more of those flying when the two hunters inevitably clash. 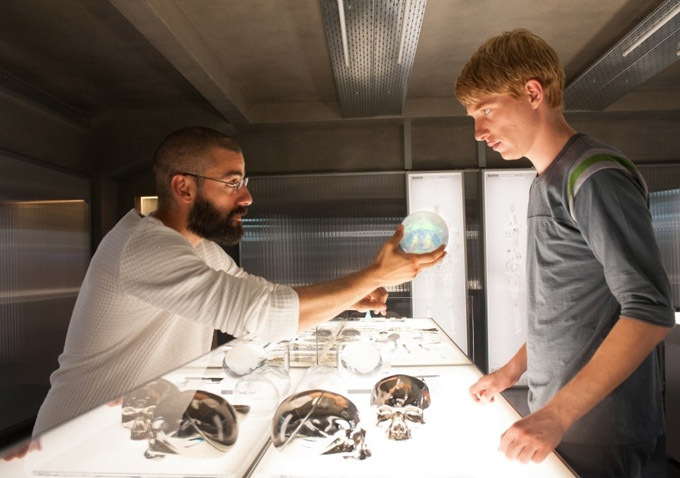 Domhnall Gleeson (Ex Machina, Star Wars: Episode VII — The Force Awakens) and Will Poulter (The Maze Runner) are also involved, and Birdman cinematographer Emmanuel Lubezki is back behind the camera. Scenes were filmed in various locations around Canada and in southern Argentina. Only time knows whether or not Iñárritu and co. will be in the Oscar mix come February next year (let’s hope they are for DiCaprio’s sake) but the marketing for The Revenant would certainly have you believe big and compelling things are on the icy horizon. 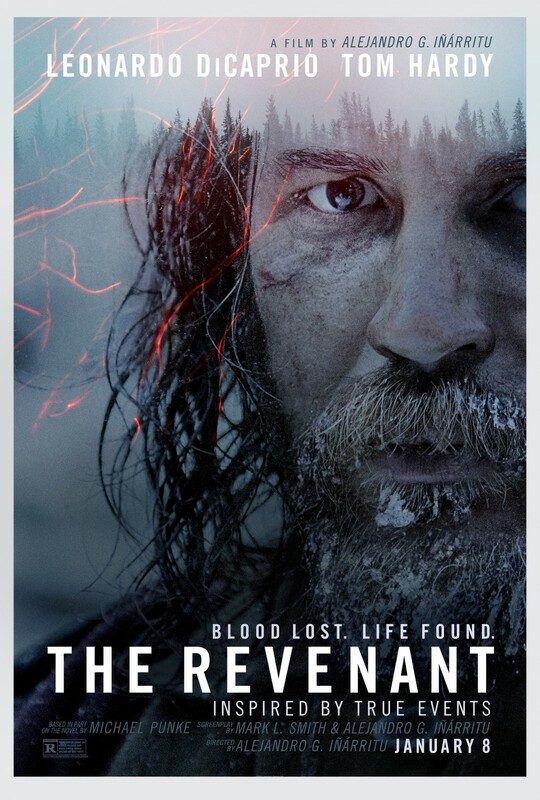 The Revenant is out Christmas Day in the US and January 15th in the UK. As wannabe musician Jon strings together lines so monotonously hilarious in an attempt to spur lyrical inspiration, you get the sense that Frank is about to deliver (just ask the lady in the red coat). And it does deliver to a point. When it strikes a comical chord, the reverberating guffaws tend to be high in pitch and volume. Not to mention the outing’s headline act: a stupendous bodily performance from Michael Fassbender. But there’s something not quite right, a node of irony that occasionally jars indulgently. 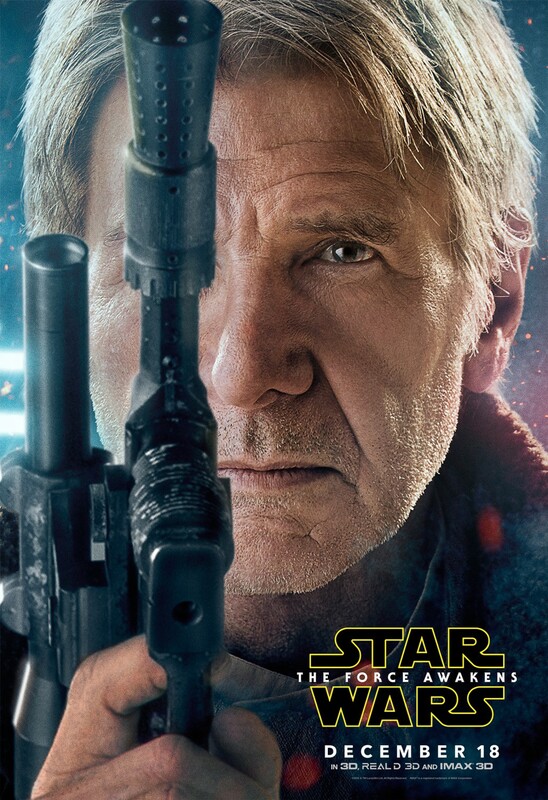 When wackiness overrules narrative, a handful of disengaging characters remain. 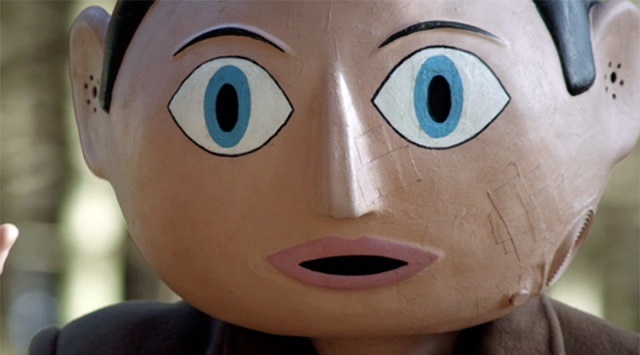 Utterly bizarre beyond its frames, Lenny Abrahamson’s outing is as much Talk to Frank as it is Frank Sidebottom. A keyboard player languishing in his own pit of disenfranchisement, Jon (Domhnall Gleeson) finds himself taking the faux-piano reigns as part of an eclectic band. 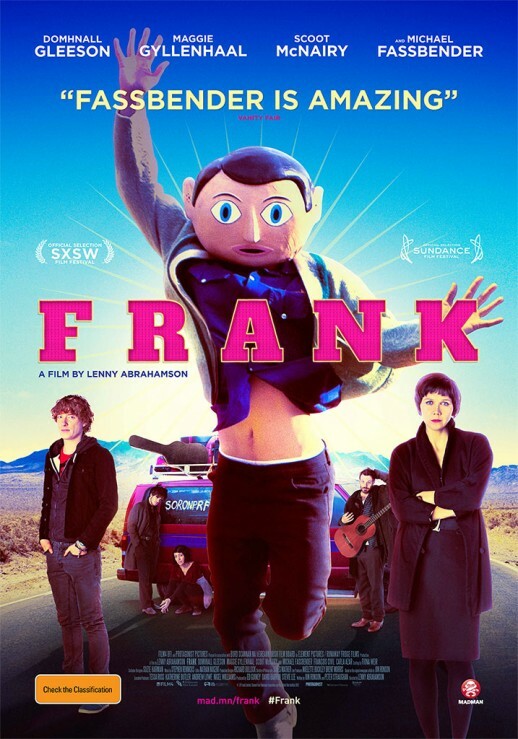 Frank (Michael Fassbender) is the lead singer, his psychedelic sound usurped only by the group’s psychedelic demeanour and his own terminal cartoon-head. At first, Jon is perplexed by just about everything the band has to offer. However, as he is dragged further into their unorthodox make-up by manikin-loving manager Don (Scoot McNairy), the keyboardist remembers his toils as a struggling musician and engages in a game of manipulation and admiration. Though the antics are told from Jon’s point of view, the titular Frank is wholeheartedly the film’s star and this is in no small part down to Michael Fassbender. Stripped of any ability to facially exhibit emotion (an element quickly acknowledged in a humorous manner) Fassbender suitably readjusts in a display of manoeuvres that are as admirable as they are chucklingly peculiar. Like bees to honey, the band whiz to Frank’s side in a constant plea for attention, particularly Jon and Maggie Gyllenhaal’s stern Clara. Frank is the cream of the crop to them, both of whom aspire to gain his level of musical insight and, in the same vein, we look to him as the central figure of goings-on. Fassbender’s vocal expression is intentionally difficult to pinpoint, an element that bolsters the mystery surrounding Frank — it also adds verve to his singing which sees one scene towards the end particularly stand out. It’s not necessarily Fassbender’s face that garners any amount of intrigue — we already know what the Irishman looks like — rather, it’s his character’s motivations. (“What goes on inside that head, inside that head?”) Even then, the reason behind the lead singer’s mask-wearing becomes irrelevant as Fassbender’s actions whilst wearing the head gear become increasingly engaging and unpredictable. A man without a face, but not without allure. Face hidden by a large head, if we didn’t already know it was Michael Fassbender we’d be absolutely certain it was an actor of extraordinary talent anyway. Despite being too whimsical in dramatic delivery, Jon Ronson and Peter Straughan’s screenplay is often very funny. From shoddy song creation, to blunt feedback, to hurling objects at one another, there is undoubtedly a plethora of laughs to be had. Though, whilst striving for humour the outing progressively trundles through a sea of perplex. In itself, a film without conventional boundaries is not necessarily a bad film — conversely, though innately different, Valhalla Rising is surreal and still very good — but Frank suffers as it dips in and out of madness, resultantly losing tonal focus. Unless it can be found obscured underneath a papier mâché head, there’s no real on display plot here, not one of intuitive significance anyway. This is the story of a band locked away in a cabin writing an album. The attachment must therefore lie with those on screen and, out-with Frank himself, there aren’t many hooks. Jon is our mediator of mania; he’s the ‘normal one’ in an abnormal setting. 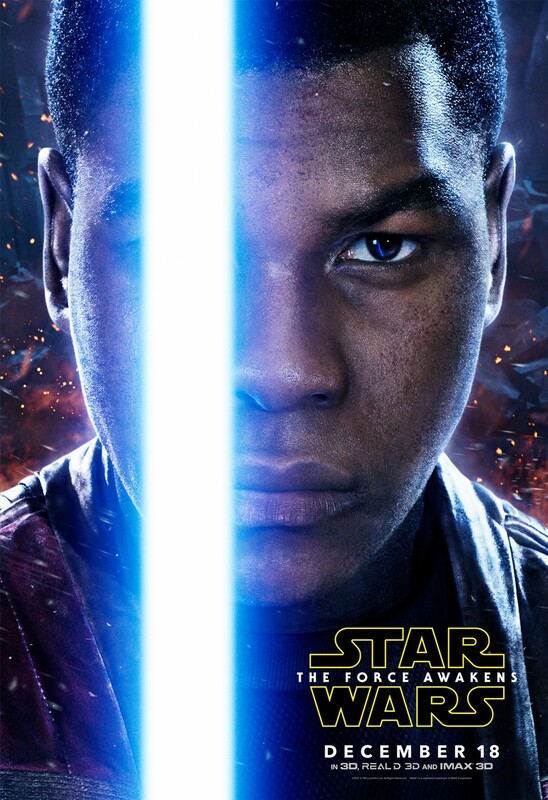 Despite Domhnall Gleeson’s best efforts, the character isn’t all that interesting; an inevitable outcome given those in Jon’s immediate vicinity — a fake head wearer, a wrathful theremin player, a manikin admirer — but the keyboardist is just a tad too plain and subsequently sticks out like a sore thumb. Even when he does generate a semblance of interest, it’s at the expense of likeability: as Twitter followers increase, affinity decreases. Clara presents an even greater problem. 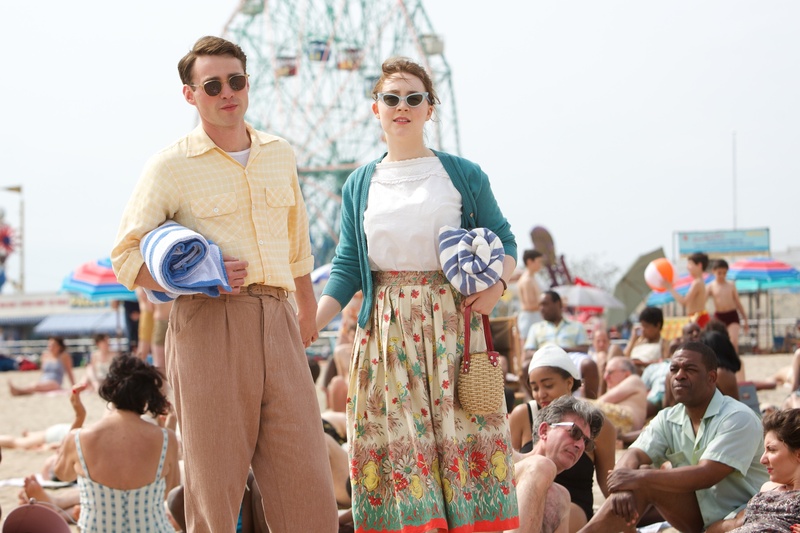 She’s dismissive and abrasive and this isolates Maggie Gyllenhaal’s persona. Rather than becoming part of the crazy prerogative, Clara exists disparagingly on the outside. Between plods of hysteria, the film puts all of its eggs into Frank’s basket, a lot for a faceless anomaly to take on. 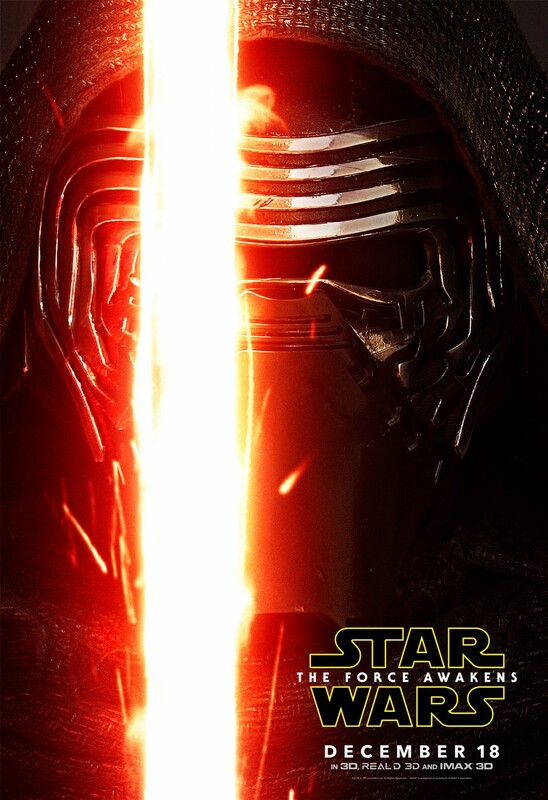 When inadvertently the most amiable presence is one wearing a mask, something ain’t quite right. On another problematic note, Frank attempts to juggle the trials and tribulations of modernity and music, before incorporating issues of mental health towards the conclusion. We often hear of musicians hiding away in isolation as they congregate ideas for the next album in an attempt to avoid the hyper-connected external world, and this is exactly the case here. Frank and company occupy the confines of a wilderness cabin for months on end, though ironically they’re concealing their music from a non-existent expectancy — nobody knows who they are. Heck, nobody knows how to pronounce the band’s name (Soronprfbs, if you want to have a go) highlighting their incessant need to stand out in an overpopulated industry. The lead singer adopting a giant fake head is probably enough regardless. Jon invariably narrates proceedings via Twitter, a nuance that sears as an unneeded attempt by the filmmakers to make Frank more current. Perhaps those like myself without much musical inclination, other than downloading the latest hit from The Killers or Katy Perry, will struggle to relate to Frank’s attempt at industry irony. 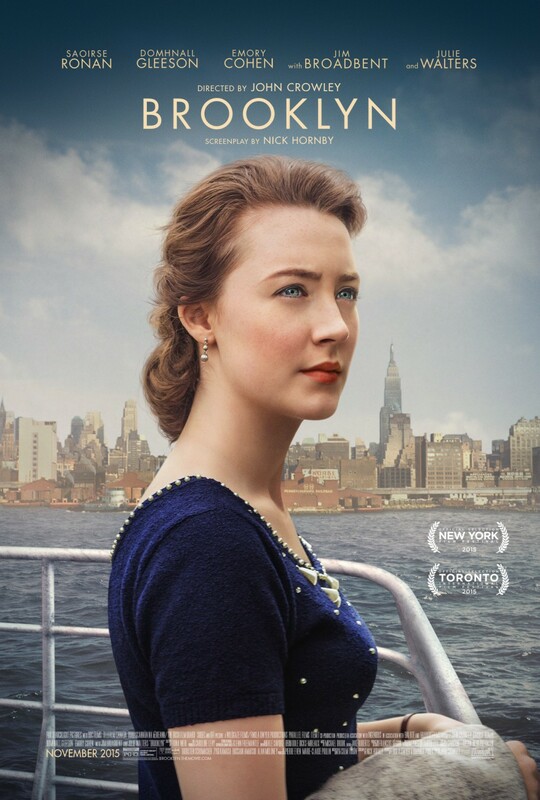 Abrahamson’s late bid to relate Frank’s concealment and musical idiosyncrasy with mental instability, though well-meaning, is pillaged by a lack of cohesion. In response to Jon’s apparent anguish, a bystander confesses, “I thought it was supposed to be funny”. This retortion reflects Frank, a film that is inherently humorous yet unsuccessfully aims for melancholic satire. Are we meant to laugh or cry? I’m not entirely sure. The song plays boldly and certainly hits an occasional high note, but unfortunately suffers from a muddled beat in the long run. John Michael McDonagh’s second venture into the directorial settee is a significant improvement on his fun but ultimately forgettable 2011 debut The Guard. In Calvary, many previously utilised elements are retained — namely Brendan Gleeson, dark comedic undertones and Ireland — but an additional steadfast formula heralding both intrigue and earnestness offers robust support to these familiarities. This time around we’re essentially presented with the makings of a whodunit mystery, only nothing has been ‘done’ yet. It’s a ploy that keeps you guessing, one that forges with bleak humour and traces of hearty emotion (just about) resultantly presenting a film worthy of the talent displayed on-screen and the guile emitted from those off-screen. 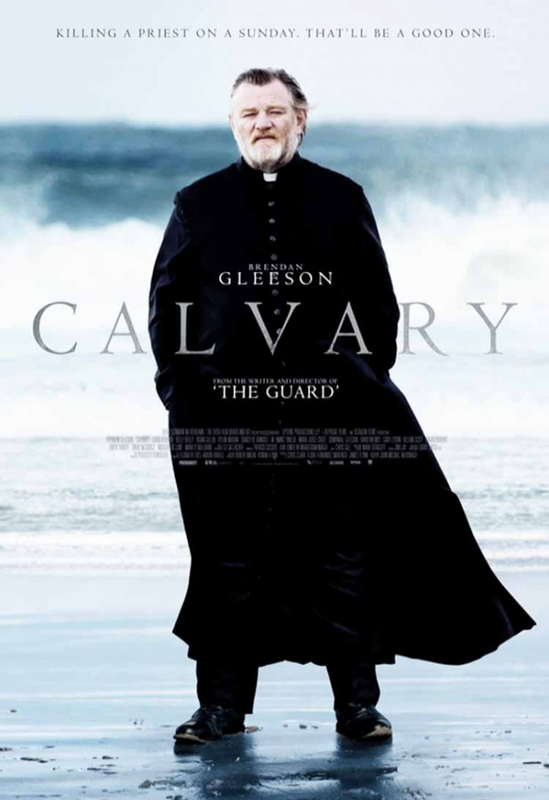 As one of the more considerate residents of Sligo, Father James Lavelle (Brendan Gleeson) often finds himself at the quarrelsome mercy of those whose problems determine their lives. His priesthood is undoubtedly a factor in this invariable trust too, only said profession is one James mightn’t be too fond of presently given his life has just been threatened by a troubled voice emanating from the other side of a confession booth. “Sunday week” is seemingly his final calling, because that way he’ll have a few days to get his affairs in order. How thoughtful. 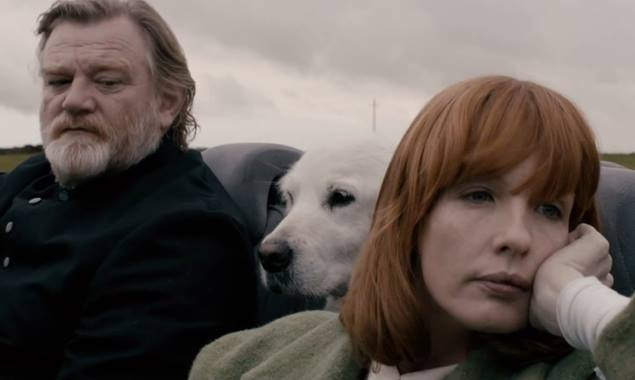 Perhaps Calvary’s greatest strength is that it manages to successfully fluctuate between a variety of modes without losing its primary sense of direction. Most obvious is the blackly comedic tone that hollowly reverberates throughout proceedings. It should come as no surprise to those well-versed in the work of the McDonagh siblings — brother Martin wrote and directed the wonderfully downbeat In Bruges — that laughs are placed on a pedestal above the occasional murmurings of insensitivity here, but each quip is genuine in nature and far from callous. The film is akin to a live-action version of Guess Who? as numerous distinct personifications manifest on screen. At one point James is informed, “Playing you though now, that might be interesting,” enforcing this odd feeling of different characters role-playing. Many of the actors are funny in their caricature mannerisms, but there are a few who especially stand out by way of effortlessly humorous portrayals. Killian Scott is particularly amusing as the naive Milo, his stoic facial expressions accentuating a comical deadpan delivery (“The war on terror has no borders”). The ignorant doctor of Sligo, Frank Harte is gauged efficiently by Aidan Gillen; funny, intimating and overtly suspicious all in equal measure. Brendan Gleeson carries the weight of the film upon his shoulders for its entirety (the camera hardly wanders from his bearded jawline) and evokes a sense of attachment in tandem with the viewer from the get-go. It’s not necessarily sympathy that we feel — James peculiarly appears in control of his own destiny despite the threat on his life — but rather it is the priest’s accommodating presence to those around him that warmly rubs off on us with an amiable sheen. Aside from the comedy then, is a story about a man attempting to come to terms with his profession, his faith and effectively his own life. James is unable to assemble the frantic thoughts racing through his own head never mind those of others, yet he still tries: “Everything’s fine”, he says almost systematically before realising his own desperate predicament, “I mean no, everything’s not fine”. As the film progresses director John Michael McDonagh raises the currently prominent issue of priesthood stigma, motioning towards prejudgement and the idea of tarring all with the sins of a few — we become more aware of James as a human being, somebody dealing with more problems than any it seems. A notably poignant scene towards the fraught conclusion embodies the sentiment of forgiveness and wholly captures a sincerely heartfelt air that McDonagh absolutely appears to have intentionally sought out. Calvary exhibits a serious tone that never becomes overbearing thanks largely to a number of chuckle-worthy happenings, but a serious tone that demands consideration nonetheless. The third side of Calvary’s narrative triangle is the aforementioned murder mystery element, and it too meshes well with the other components. From the exceedingly off-kilter opening, the film garners intrigue as a tension builds. There are constant references to sinning, to death and wrong-doing, remarks almost always aimed indirectly at James (“Evil thoughts floating around”). These serve as frequent reminders amongst the raft of humour and seriousness that there is a conundrum demanding solution. Though some characters occupy characteristics too obvious to be genuinely threatening, McDonagh’s dialogue-driven plot ensures that just about anybody could be the instigator of violence. Maybe the knife-wielder is Dylan Moran’s upper-class hedonist Fitzgerald, or perhaps it is Kelly Reilly’s distressed Fiona Lavelle who has her hand on the trigger — there are more than enough candidates offered up to consistently make us doubt ourselves as we attempt to play detective alongside Father James. One thing is for sure: as wide-shots of vast drumlins are shown leering over the town of Sligo, a progressively uneasy mentality begins to unfairly haunt our lead. After an exceedingly well-executed hour and a half that sufficiently garners enough pent-up curiosity, Calvary does sadly struggle to keep a lid on proceedings during the final act. Events come across as slightly rushed without meaningful conviction, and one or two questions remain unanswered — though not in a self-inquisitive way, but rather completely unnecessarily. With the exception of a far from catastrophic concluding blot, Calvary admirably manages to juggle humour, intrigue and seriousness without compromising any element. Presently, after the completion of two native outings, John Michael McDonagh isn’t all that far from replicating his brother’s In Bruges-esque achievement, a pretty darn good feat in itself.